Oxymetholone is the general name of Anadrol, and it’s a very potent anabolic steroid with plenty of controversies surrounding it. It’s one of the strongest oral anabolic steroids on the market, and it can even compete with the likes of Methandrostenolone (Dianabol). In fact, many steroid circles debate which of the two products is the better choice. Anadrol shouldn’t be confused with Anavar as the latter has Oxandrolone as its base. If you’re here, then chances are you’re looking for more information about Anadrol. 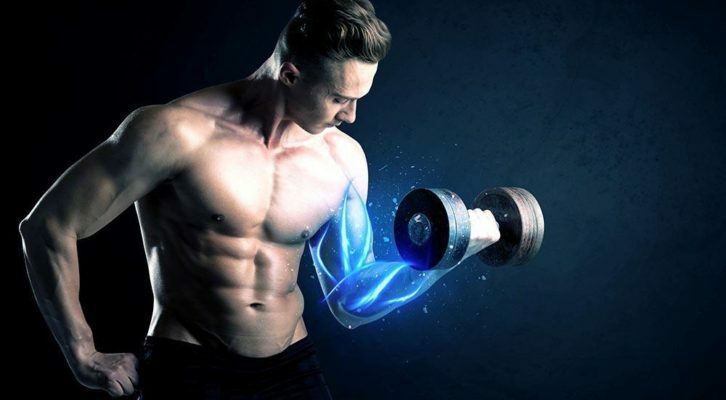 In this post, we dive deeper as we enhance your knowledge and understanding about what many would call to be the most potent anabolic steroid in existence. The first details of the existence of Anadrol date back to the year 1959. Almost immediately after its existence was known to the steroid world, Syntex, a pharmaceutical firm, sold the Oxymetholone drug under the product name Anadrol-50. It was Parke Davis & Co. that manufactured the anabolic steroid at that time; however, it was under the trade name known as Androyd. Upon its initial release, it quickly made its way to prescription markets. Anadrol was brought into the medical scene as a means to help in the treatment of a number of medical conditions like geriatric atrophy and anemia. It was also prescribed as a means to help increase hemoglobin levels and red blood cell count in anemic individuals. Anadrol has a very high rate of stimulating erythropoiesis. However, it should be known that all anabolic steroids do possess such ability. Nonetheless, Anadrol possesses a higher rate of stimulating erythropoiesis than any other known anabolic steroid on the market. As such, reports indicate that Anadrol can increase the production of red blood cells by a 5 fold factor. Studies also demonstrated that this steroid exerts high anabolic effects, especially on muscle-wasting AIDS patients. As such, it causes the individual to gain approximately 8-kilograms of weight. In comparison, certain reports indicate that AIDS patients that were only given a placebo would only lose weight and an increased chance of mortality. Anadrol is classified as an orally active C-17 alpha alkylated anabolic steroid. Hence, it can exhibit hepatotoxicity, or in layman's terms, it means it can be toxic to the liver. In fact, Anadrol is seen as the worst offender among other anabolic steroids on the market as far as the liver is concerned. However, it might still be possible that the liver damage caused by this anabolic steroid is just an exaggeration in some steroid circles, but it wouldn't hurt to be careful. Anadrol, on the other hand, does possess a chemical modification that can supposedly reduce hepatotoxicity and its adverse effects on the liver. However, it can still raise liver enzyme markers during cycles. As such, it's highly advisable for users to limit Anadrol cycles to a maximum of 4 to 6 weeks. Also, supplementing it with plenty of liver support products is advisable to keep the adverse effects brought by the anabolic steroid to a minimum. Steroid cycles that include Oxymetholone are primarily intended for strength-gaining, bulking, and general mass enhancement. It’s not advisable for use for anyone who’s looking for a product for cutting, pre-contest, fat loss, or the like. However, Anadrol can still support fat and weight loss efforts, but it’s one of the poorest choices in this regard since it has estrogenic effects. If you plan on using Anadrol, take note that the cycles would normally compose of the anabolic steroid as a kickstarting compound during the first 4 to 6 weeks. It's going to be a supplementary product for other base compounds that promote similar advantages. For more information about Anadrol, be sure to check out Anadrol50mg.com.